A major cosmetic manufacturer needed to control the blending of hot deionized water and hot oils with cold deionized water from scale-operated batching tanks in the manufacture of hair dyes. 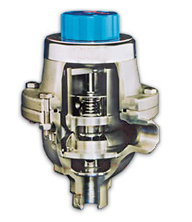 Assured Automation suggested the Kates Flow control valve be used to maintain a constant flow rate of the hot deionized water to ensure proper product emulsification. The controlled addition of hot deionized water is necessary to establish emulsification of the product without excess air, which would cause foaming and in some cases a slight exothermic reaction. What alternatives were considered? 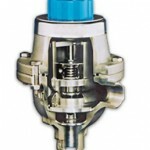 Air loaded diaphragm control valves or ball valves. The Kates unit offered constant flow rate and accuracy. The unit could be set to the needed flow rate and offered consistent repeatability without adjustment or supervision. This entry was posted in Latest News, Specialty Products. Bookmark the permalink.